Mersal-Sarkar row redux: Angry Vijay fans in secret plot to hit BJP and AIADMK? Offended by the Mersal and Sarkar controversies the fans of Thalapathy Vijay are determined to spoil the electoral chances of BJP and AIADMK in Tamil Nadu. Following the Mersal and Sarkar controversies, the angry fans of Tamil superstar Vijay are reportedly directing fire against the BJP-AIADMK alliance. It seems the fans' ire is in full display with days left for voting in the Lok Sabha election as well as the by-polls in 18 assembly constituencies in Tamil Nadu. The admirers of the actor, who is fondly called as Thalapathy by cine-goers, are apparently determined to teach AIADMK-BJP a lesson. There is talk that the Vijay Makkal Iyakkam, the official fan club of the actor, has sent a secret message to all its members to vote against the BJP-AIADMK alliance in the forthcoming elections. 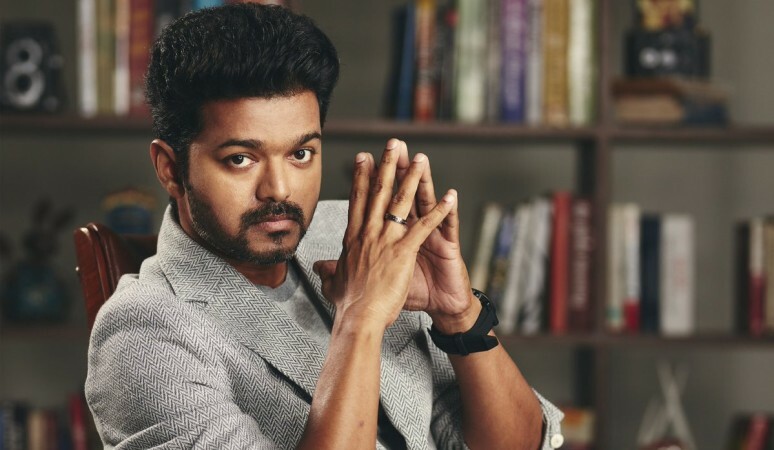 The fans are upset with both the parties for creating troubles for Thalapathy's previous movies like Mersal and Sarkar. The rumours got more credence after a photo of a Vijay fan displaying a poster and asking the AIADMK supporters not to enter her house went viral. The woman named Jagadeeshwari is said to be a women's wing leader of Vijay Makkal Iyakkam. She told The News Minute website that the ruling party workers had destroyed Rs 70,000 worth banners put up during Sarkar release. However, the fan club has denied taking any such stand and claimed that the members have been told to vote as per their conscience. "Vijay sir has made his stand clear by saying we will not support any political party for this parliamentary election. Political parties approached us seeking support based on wish of fans in the constituency. But we decided to avoid any such practise as it may divide the fans as there may be different opinions," The Times of India quotes RK Raja, Trichy district president of Vijay Makkal Iyakkam, as saying. People from the film industry say that whether the fan club endorse it in the open or not, the message has been conveyed to the fans. "The Vijay fans have got their message that they should not support the government which created troubles for their star's films. It looks like a message to all the political parties as well that they should not take him for granted and treat him as a soft target," an industry insider says. The Tamil Nadu BJP had stoked controversy over some dialogues in Mersal against GST and the idea of the digital India mooted by the centre. The saffron party had forced the makers to remove the lines from the film. A year later, the AIADMK responded in a similar fashion when another Vijay film, Sarkar, projected the "freebies" culture in a negative light. The ruckus had gone to such an extent that there was talk about a ban on the film in the state. Not to forget, the AIADMK had unofficially banned the actor's film Thalaivaa in 2013.